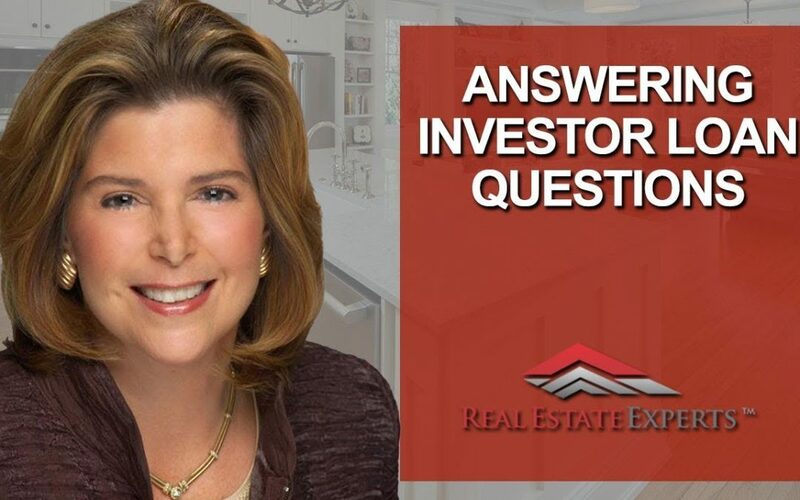 The Real Estate Experts work with a lot of investors, and Teresa Parker from Union Home Mortgage always does such a great job with them, so we thought it would be beneficial to bring her in to answer some loan-related questions for our investor clients. So, is it better for a real estate investor to purchase a property with cash or with a loan? Teresa typically recommends that clients review their options. A lender should be able to put something together that will show them the benefits of either utilizing a loan so they’re not depleting all of their liquidity, or buying with cash. 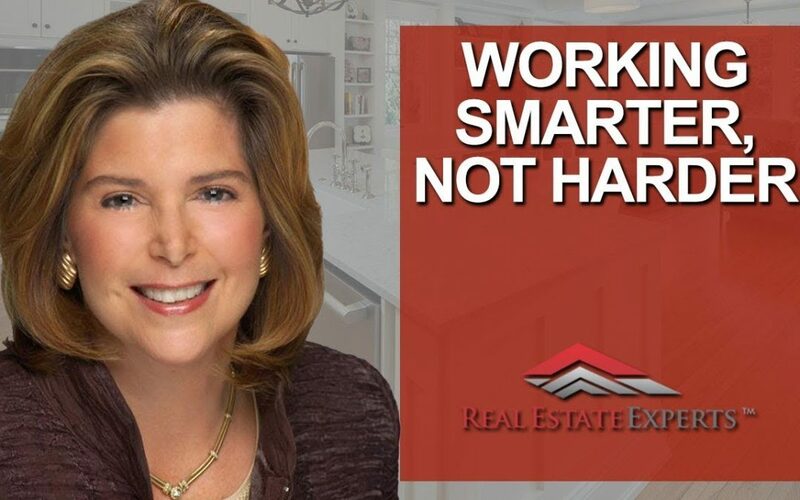 She uses a program that allows investors to clearly see the benefits of purchasing investment properties by using leveraging with a loan versus depleting all of their liquidity to buy a property. This tool can also show people their projected liquid net worth and total net worth over certain periods of time. It can look forward five, 10, or 15 years, and allows you to view a comprehensive analysis of how much better off you would have been if you’d purchased with a loan or with cash. It can also show you whether, if you leave your funds invested as they are, you’ll grow using that vehicle. A house is going to appreciate at the same rate, regardless of whether it’s fully leveraged or whether it’s fully owned outright. Homes don’t appreciate any faster than what the market dictates. When an investor makes a cash-only purchase, they’re missing out on the opportunity to place those funds in an interest-bearing account, where they’ll grow. So what are the biggest challenges Teresa faces when working with investors? 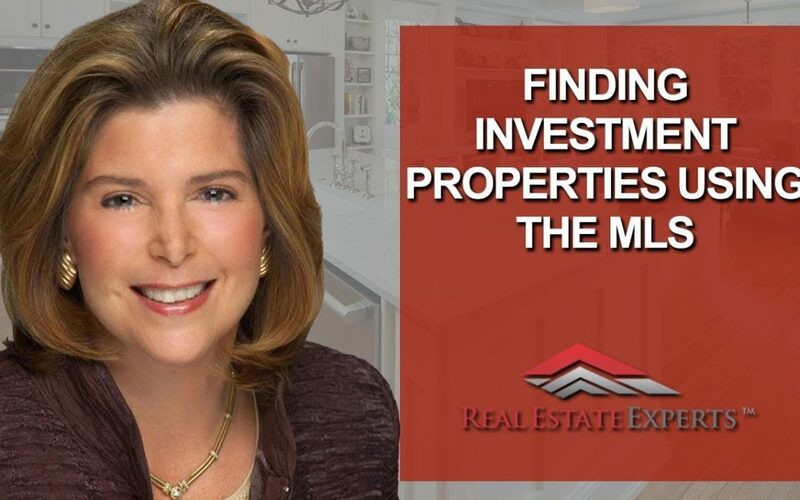 One of the issues Teresa has frequently seen, especially with newer investors, is their tendency to convince themselves that they can’t qualify to buy an investment property. While they make a very good income, have sufficient funds to support the down payment, and have the desire to become an investor, they just feel like they can’t qualify. However, the lender should be able to show the investors ways that they can qualify for buying an investment property, as well as how to utilize and leverage some of the potential rents on the particular property they’re buying. That also helps them with their debt-to-income ratio. Is it better for an investor to purchase a property as an individual, an LLC, or a corporation? Clients that Teresa works with are buying homes in their own names, whether that be a single-family, duplex, triplex, or quadruplex. Clients that buy using their own name will get regular preferred loan interest rates. If you buy an investment property in the name of an LLC, the loan will be in the name of the LLC. In that case, you’ll be looking for a commercial loan, which have different terms and rates associated with them. In a future video, we’ll address what happens when you buy a property individually and then want to assign it to a corporation. If you’d like to contact Teresa for questions or information, she can be reached at (919) 697-2598 or at [email protected]. For my team’s part, we would love to know what kinds of questions you have for us. Reach out and let us know, and we’ll be sure to address them in future videos. We hope to hear from you soon! With buyers increasingly starting their home search online, your marketing efforts are actually reaching them all over the world. From the outset, buyers want to see pictures of your home. If one room of your home is messy in any way, it’ll be reflected in the picture online, and buyers have a low tolerance for clutter. Your Realtor will help you position your property with professional photography so that your home is highlighted in its best possible light. Your Realtor may use a staging service or they may conduct the staging on their own by way of drone footage or virtual staging. Ultimately, the goal is to have a marketing plan and professional photography is an incredibly important way for buyers from all over the world, and who are looking in your area, to see your home. If you have any questions about professional photography or these types of services, don’t hesitate to be in touch. I’d be happy to help! 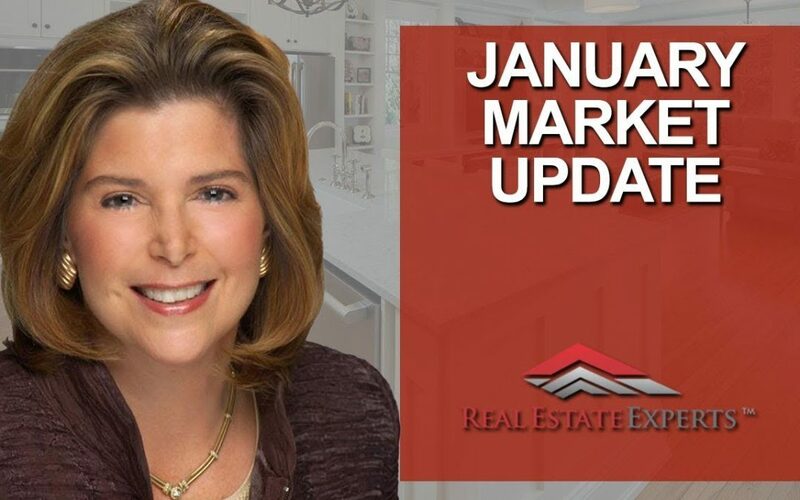 Real estate numbers tend to lag behind a bit, so the statistics we’re looking at today come from January. However, they can still give us a good look at where our market lies. Comparing January 2019’s numbers to last year’s, the market has definitely improved. Home showings are up 8%, inventory is up 11%, and pending sales are also up 11%. Because we’re still early in the season, however, the number of days on market has increased a bit. In the Triangle, we have two markets: homes under $500,000 and homes over $500,000. You can see a complete breakdown of the numbers at 1:05 in the video. The market is very hot in Southwest Durham, and properties priced under $350,000 are getting many showings and multiple offers. In Chapel Hill, homes priced under $500,000 are also experiencing many showings and are going under contract quickly. Overall, the market is improving. Average prices increased year to year across the board—they were up 8% in Chapel Hill, 4% in Durham, and 18% in Cary and Apex. Inventory is still very low, ranging from one to three months’ worth of homes on the market. That number fluctuates depending on your price range and location. Homes in the upper price ranges have gone above five months of inventory, for example. Interest rates are holding steady; 30-year mortgage rates are at about 4.7% and 15-year rates are at 4.25%. This is great news for buyers. As we move into spring, we need more inventory. Since there are more buyers out there, it’s a perfect time to put your home on the market. We’d be more than happy to help you prepare for a sale, answer any questions you have, and provide further information. We look forward to hearing from you soon. Many investors think that the way to find the best investment properties is by using off-market sources (foreclosures, probate properties, etc.). The statistics, though, say something different. Nationally, 83% of all investment properties are found in the MLS. On a local scale, in the last year, 310 investment deals with a 25% increase in value (or a purchase price with a 75% after-repair value) were found in the Triangle market using the MLS. Knowing that, the Real Estate Experts team has partnered with Privy™, a company that provides software that allows you to find great investment deals within the MLS. Today I’m joined by Benson Juarez, the company’s director of operations and business development, to talk about how Privy™ was developed and how it can benefit you. According to Benson, Privy™ was built as a way to help them with their own real estate investment clients. They were spending too much time behind their computers trying to find and analyze deals, and the process was becoming cumbersome. With Privy™ software at their fingertips, investors can analyze deals on their own timeline and not rely so heavily on their agent. Starting at the 6:10 mark in the video above, you can see several examples of how their system works. If you have any questions for Benson, you can call him at (844) 438-7748 or email him at [email protected]. Remember—finding and analyzing investment deals is an intensive process, so having an investor-friendly agent on your side is key no matter what your situation. As always, if you have any other real estate questions for me, feel free to call or email me. I’d love to help you. 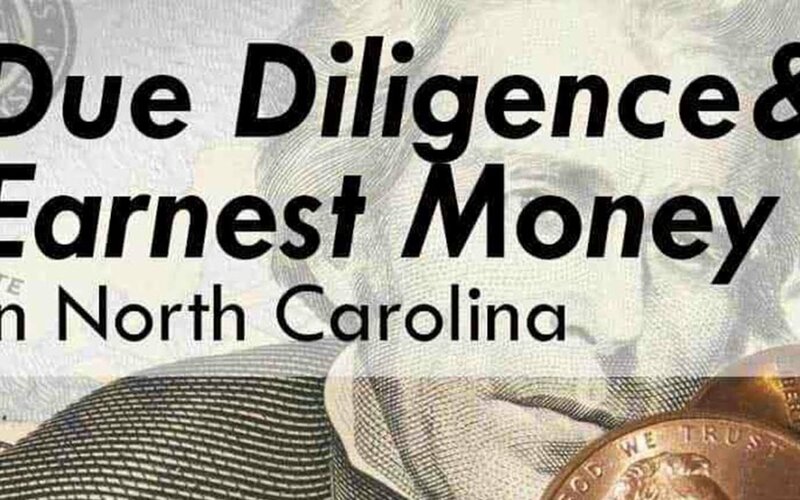 The North Carolina Offer to Purchase and Contract is also often called a due diligence contract. We have a due diligence period, and within this time frame, a buyer can terminate a contract for any reason. It doesn’t have to be because of a bad inspection, loan, or other obvious problems. The first date is the due diligence date; this is the time frame in which the buyer does all of their investigations concerning the property, including home inspections and loan processing. Again, regardless of your reason, you can cancel your contract at any time—as long as you do so on or before the due diligence date. The second date to remember is the closing date. Everything in our contracts is negotiable. Typically, we see closing dates set about two weeks after the due diligence date, but it can be longer. The due diligence period is, on average, three to four weeks, depending on how competitive your offer is; the shorter the due diligence period, the better it is from a seller’s perspective. In our market, the earnest money deposit is usually about 1% of the purchase price. On the other hand, the due diligence money can range anywhere from $500 to $2,000 or more, depending on the price of the house and whether you’re in competition with other buyers for the same house. If a buyer terminates a contract before the due diligence date, the only money that is at risk is the due diligence money; your earnest money will come back to you unequivocally. So when you’re making your offer, you need to think through the process and consider how much money you’re willing to lose if you end up terminating the contract. If you go all the way to closing, the due diligence and the earnest money deposit both come back to you at closing as part of your down payment. The only way a buyer can lose everything—both the due diligence AND earnest money—is if you say that you’ll buy the home, but then cancel the contract AFTER the due diligence date. That’s considered a breach of contract, and you’ll receive neither of those deposits back. When you’re interviewing prospective Realtors, talk to them about the due diligence process and what it means for you, because it’s different when looked at through a buyer’s eyes and a seller’s eyes. At Real Estate Experts, we’re more than happy to discuss this period with you. All you have to do is reach out to us, and we’d be happy to help.